Pink Chili has developed the concept of the Pure Food Camp for MittSkåne Development and from 2018 it will be a concept owned by Pink Chili. Pure Food Camp is a unique, innovative venture that takes international groups of foodies on a journey through Skåne from farm to fork, guided by the Michelin-starred chef Titti Qvarnström. 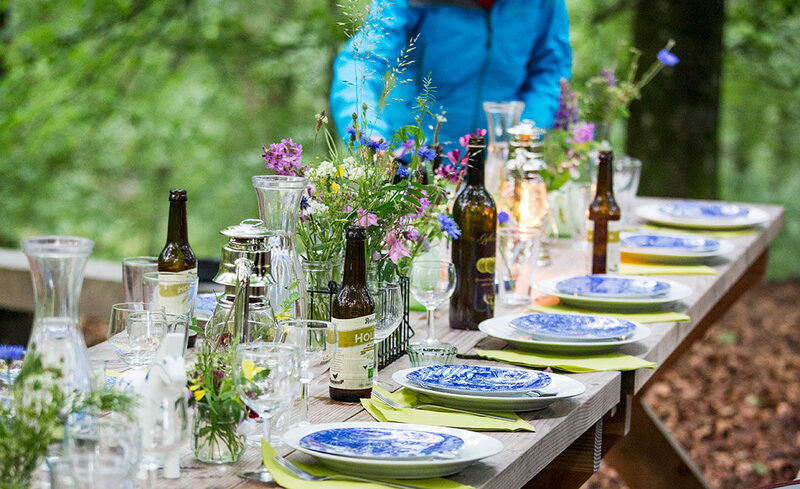 The Pure Food Camp is the result of a determination to put together attractive, quality-assured culinary trips through the foodie heaven that is Skåne. Each Pure Food Camp is a collaboration with local entrepreneurs, artisanal producers, food manufacturers, and the agriculture, forestry, and tourism industries. Guests forage for mushrooms, berries, and herbs, gather organic vegetables, and prepare duck and chicken before cooking in the open. At a Pure Food Camp all the guests work together, inspiring one another under the enthusiastic guidance of well-known chefs, and come away with new techniques and traditional methods to try at home—and a great many new friends. The Pure Food Camp concept is not limited to Sweden, as it is suited to any terroir and works brilliantly anywhere. In fact, Pure Food Camps are being planned for both Alaska and Australia.